I've seen this posted on a couple of blogs now and thought I'd join in. Andrew over at Very Good Taste, posted a list containing 100 food items (well some I think you can call food if you're very adventurous), that he believes every omnivore should try in their lifetime. He encourages everyone to have a look at the list and see how they're doing with it. So, without further ado here is the list. The items in orange are the ones I have tried and the ones that are in italics (I couldn't figure out how to do the strike through thingy) are the ones I don't think I could bring myself to try without getting very, very drunk first and even then the chances would still be rather slim. Okay, I guess I'm not doing to badly 49 out of 100 I have tried (50 if you count the flies swallowed while cycling) and there are only 3 I wouldn't try. I have to admit though that I'd struggle with the Phal, because twice now I have attempted to try a Vindaloo and hated every bit of it. That's just too hot for me and the reason why I wouldn't try the Scotch Bonnet. I guess I'd try it though if it meant completing the list. It's the sweetbreads, brain and intestines that I'd really struggle with. I have had kidney and liver and like neither (strangely I do love pate and the foi gras wasn't that bad either, even though I have no intention of ever eating it again), so I don't think I'd want to try the others. The other day I bought some cobs of corn and they'd been lying around in my fridge waiting for me to eat them. Usually, I would just grill the corn as it is and have it with a herb butter or just simply with some butter and salt and pepper, but I didn't really have anything to serve alongside and didn't want to go out spending more money on groceries this week either. Plus, tomorrow I have to draw the contents of my fridge for an artist book project I'm involved in, so I don't want to fill it up with more stuff (Be honest, is there ever a time when you go to the grocery shop and only pick up the thing you actually went in for?! ), instead I wanted to empty it out a bit to make my job easier. 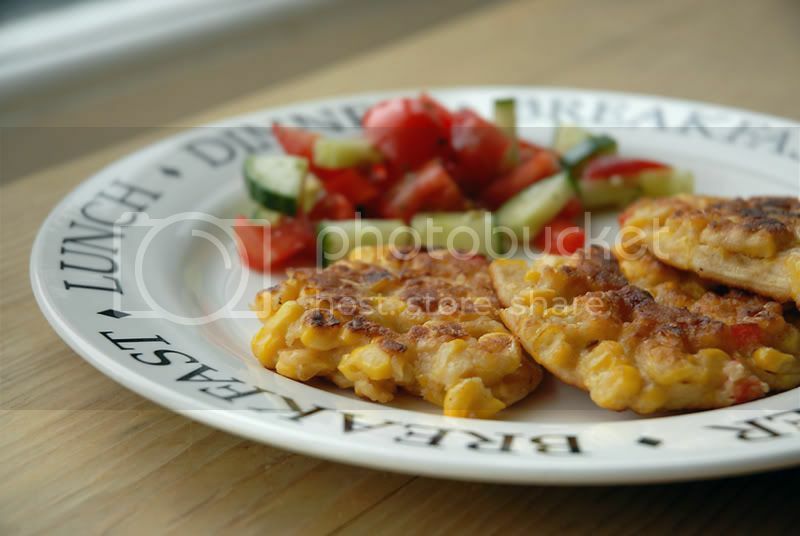 I've been meaning to try and make some sweetcorn fritters in ages, so I went searching the net and combined a number of different recipes to come up with this one. I had them with a simple tomato, cucumber and pepper side salad and some sweet chili dipping sauce. You can easily double the recipe and I'm sure frozen corn would work just as well instead of the fresh. Sift together the flour, baking powder, cayenne pepper and salt. Add the milk and the egg and whisk until you get a smooth, thick batter. 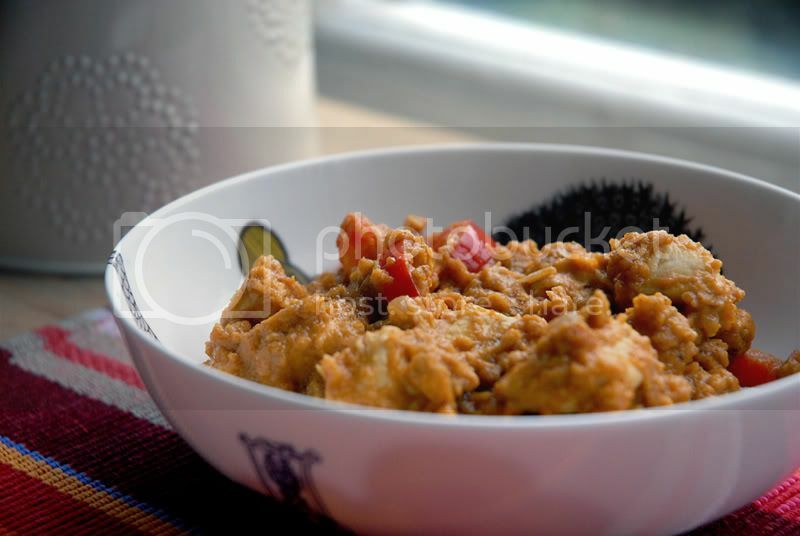 Slice the corn kernels of the cobs and add them to the batter together with the red pepper, mix in well. Heat some oil in a frying pan and place one heaped tablespoon in the pan for each fritter, pressing it down to spread the batter out a bit so it can cook evenly. Fry until golden brown on both sides, place on some kitchen towel to soak up any extra oil when done and serve with your favourite dip. I am back and this time I should be around a bit before going off again, at least I hope so. I have survived the camping trip ( I never doubted that I would really, apart from maybe those hours I was kept awake during one very stormy night), getting back late on Thursday night. My sister and I had a lovely time. (Thank you I. for taking me with you!) 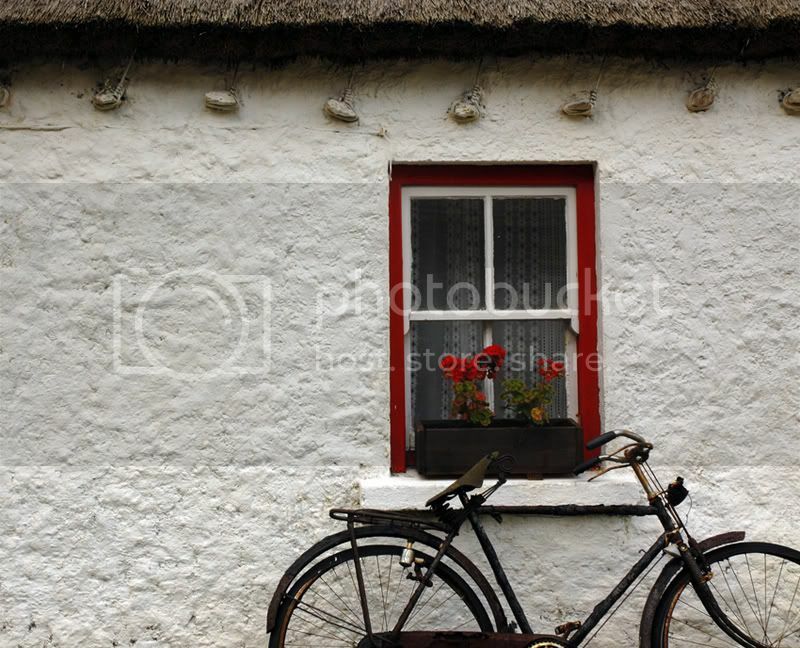 Ireland has changed quite a bit since I last went there in 1995 it is definitely a great place to go on holiday. Because I have been gone for so long and haven't been able to blog, I thought I'd do a little something special on my return. I brought back a cookbook from Ireland to give away to one of you. 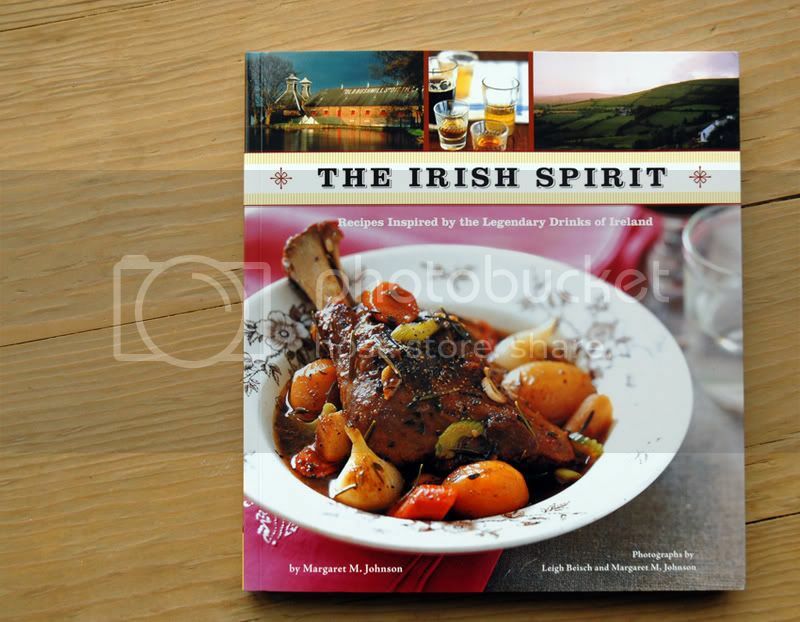 It's called The Irish Spirit by Margaret M. Johnson and contains recipes inspired by Irish drinks. So, if you like cooking with booze, or just like cookbooks and would like to add this one to your collection, all you need to do for a chance to win is to leave a comment on this post before 31st August 2008. I'll be randomly drawing one name out of a hat once the deadline is gone, to determine the winner. If you're the lucky person I will then post out the book to you wherever you are.